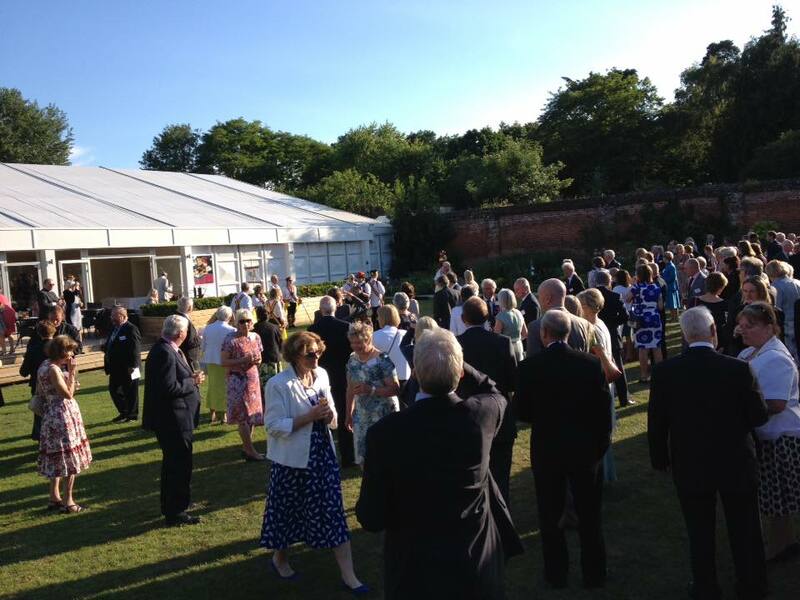 Yeste rday, Fundraising & Communications Officer Emily, and Community Volunteer Ian from the UK office attended the High Sheriff of Surrey’s annual garden party in Painshill Park – after a very kind invitation from the High Sheriff herself (and African Revival Trustee! ), Elizabeth Kennedy. We are very proud of the incredible work our programmes teams do for nursery and primary education overseas, and relish the opportunity to share it at events like this. Thank you to Elizabeth for inviting us, and to Ian for volunteering his time. Meet Cheryl, one of our lovely collection tin volunteers! Cheryl is a Hampton resident who has made a fantastic contribution to African Revival over the years. As well as helping to look after collections tins in the Hampton area, she has also been actively involved in our Schools Linking Programme. How long have you been volunteering with AR? What made you get involved with AR originally? What kind of activities have you been involved in at AR? What’s the best thing about working with AR? What’s the most challenging thing about working with AR? Robson’s Piggy Bank Butchered by Too Much Cash! African Revival has had the privilege of generous support from local business Robson’s Butcher and Deli, for a number of years. But we were stunned to hear this week that customers had raised so much cash (a whopping £112.63!) for us recently that their, usually sturdy, glass piggy bank had smashed to pieces! 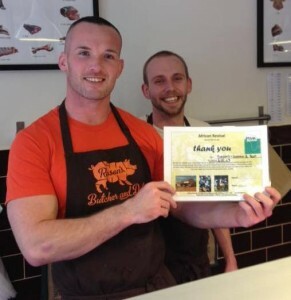 To thank Robson’s and their customers for their fantastic support, African Revival volunteers and Hampton locals David Williams and Cheryl Edwards took the opportunity to present the butcher’s with a personalised fundraising certificate earlier today. 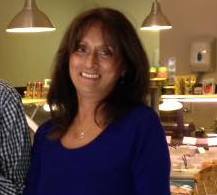 Norma Henning, co-owner of Robson’s, commented; “we just like to support local charities and our customers are always leaving us their change”. We would like to take this opportunity to give a huge thank you to all Robson’s staff and customers for continuing to support charities in the local area – and to apologise about the pig! Hopefully next time it will be less smash, more cash. This year, we’re hoping to raise over £700,000 to fund our work supporting schools in northern Uganda and southern Zambia – so every donation helps. 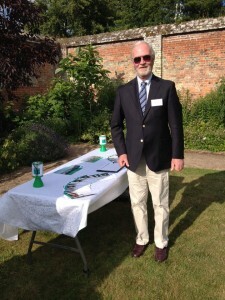 Can you help our fundraising efforts? Donate here! 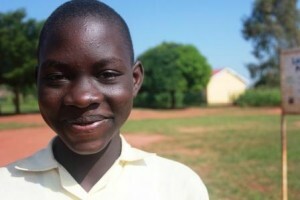 Joanne is a K2 pupil at one our jumpstart!nurseries, Anaka pre-Primary School. Taught by the wonderful Irene, whom we recently sponsored to complete her Early Childhood Development training, Joanne has been a busy bee this term: “ I have learnt all the house-hold items, the ABC all the way to Z, and now I know all the names of my body parts”. Joanne enjoys singing and dancing with her class-mates as well as reading. 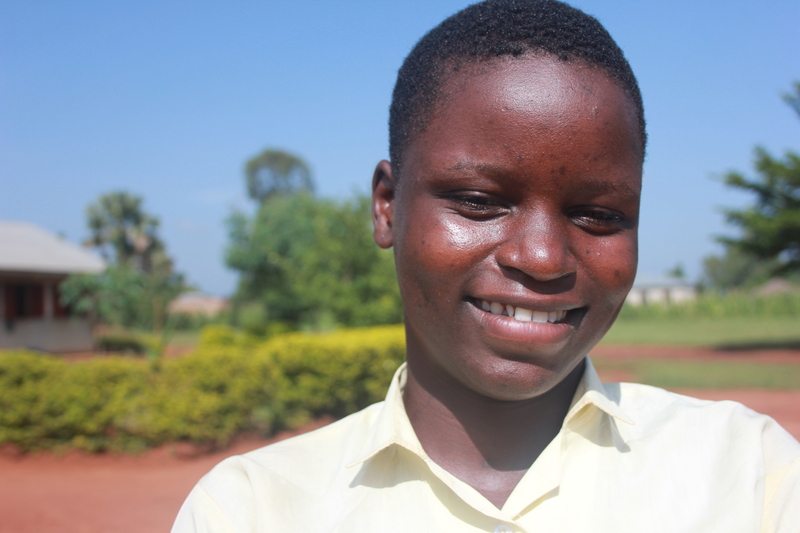 Joanne loves school because “it helps me to concentrate and pass my exams well”. 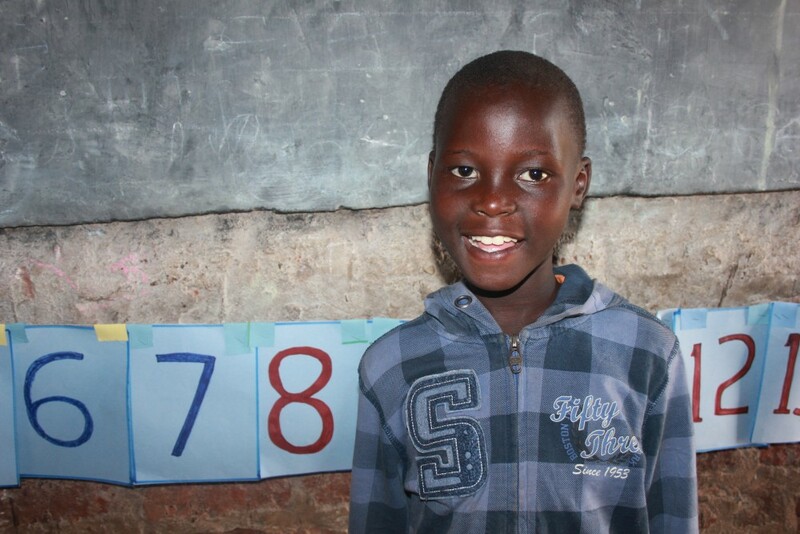 Joanne’s hard-working attitude has paid off, because she is currently the highest performing pupil in her class! With our jumpstart! monitors, Irene has made plenty of colourful posters and flashcards for her classroom, which is helping students like Joanne learn numbers and letters. With Irene’s support, we have no doubt that Joanne is going to be fully prepared for primary school in a couple of years’ time! Denis teaches K2 at St Kizito Bidati Nursery School; young and smartly dressed, Denis is very popular among his students. Denis is an active teacher, and spends most of his time in front of the blackboard. Denis encourages participation, and the children are often called to the blackboard to answer questions, and point out answers. Although the class is large, Denis ensures that he moves around the classroom to give children one-to-one support, to help his pupils who are struggling with their work. Denis has fully immersed himself in all our jumpstart! activities; he has joined a teacher-changer network, where he was recently recognized for his excellent ideas for his classroom. Denis told us that being part of this network has helped him as a teacher: “we really want to work together, and support one another because we all have the same goal: to see our pupils succeed. Through these meetings where we can discuss our ideas, I feel like I am already becoming a better teacher because I have grown in confidence”. Currently our jumpstart! monitors are also working with Denis to create exciting learning materials to further support his students’ learning. Denis is enthusiastic, creative, and motivated – and those attitudes are contagious; his pupils are confident, well-behaved and actively engage during lessons. Through investing in this nursery, our hope is that Denis’ young pupils continue enjoying learning as they progress to primary school, secondary school, and beyond. 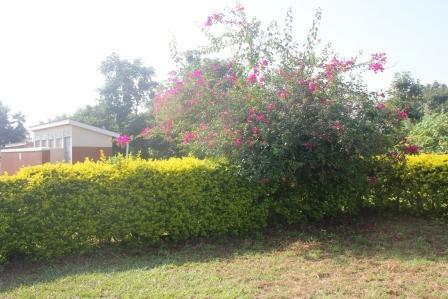 Cubu Primary School is a government school which opened in 2005; located in the leafy suburbs of Gulu town, the school attracts pupils from the town, and its peripheral villages. With plenty of carefully-swept open space, a football pitch, shady trees, and colourful flower beds which border the classrooms, Cubu Primary School has created a warm and inviting learning environment for its 400 students. The school even has a number of extra amenities which make it a popular place to study. 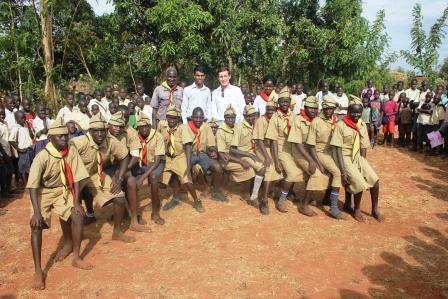 For example, the school’s after-school programmes like scouts, and the music club, are well-attended; the children particularly love the smart uniforms which we have provided! 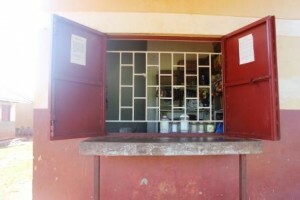 Additionally, the school has set up a canteen where children can cheaply purchase a hearty midday meal. Given that most of the school’s children walk long distances to school each day, the canteen’s nutritious meal options help pupils stay energized and well-fed so that they can concentrate fully during lessons. 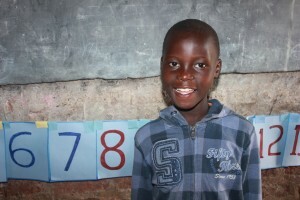 The children can also visit the school’s on-site shop to pick up snacks, or stock up on exercise books, text-books, and sanitary items so that they are well-prepared for the school day. 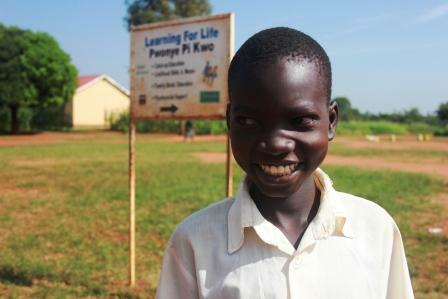 African Revival has worked with Cubu Primary School since it first opened, at the height of northern Uganda’s LRA’s insurgency. Tragically, the school was a site where many people lost their lives during the conflict. Events like these cannot be glossed over, and so one of our first projects was building a memorial site, and we later also provided a counselling room on the school’s grounds. Over the years, we have continued to work in close partnership with the school to transform it into a positive and safe space to study. We drilled a bore-hole to provide a fresh supply of water, and fitted shutters on all the windows of the school’s classrooms from P1 to P7. We have also built, and furnished a library (including shelves, chairs and books) which also doubles-up as an examination centre during assessment weeks. Through our provision of a computer, printer and photocopier, teachers are able to distribute printed exam papers to students; this has greatly improved exam results as children no longer have to decipher hand-written exam scripts! 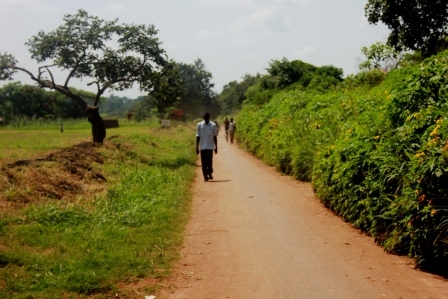 The school’s deputy head-teacher told us that when the school was first opened, many children came from rural villages, and were not adequately prepared for formative education and so struggled to thrive at school. However, the school’s teachers have been working very hard to bring up their pupils results, and now the vast majority of their older students achieve the grades necessary to progress to secondary school! The school leadership is currently focussed on delivering quality teaching, so that top grades are more attainable for their students. Indeed, the ambitious school works hard to ensure their pupils have every chance to enjoy success in all they do. 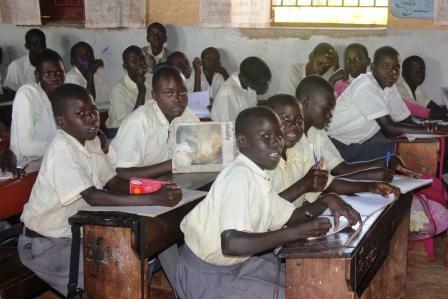 The difficulty faced by the school is retaining their female students; like many schools across Uganda, girls begin dropping out of school from P4 due to early marriage, pregnancies, difficulties in managing periods, and chores at home. In the past, many of Cubu Primary’s girl-pupils living in the peripheral villages would drop out of school to manage their home whilst their parents worked in the fields. As such, the school has carried out extensive community sensitizations to demonstrate the value and importance of educating girls. Additionally, we have also worked with the school to combat other factors which cause girls to drop-out of school; notably, we provided sanitary items to help girls better manage their periods. The school built washing and changing rooms, and provide water and buckets so that girls can bathe at school to facilitate menstrual management. We are delighted to hear that these interventions have been effective, as the school has now achieved gender parity in school attendance-in fact, girls now surpass boys in most classrooms. These encouraging results could not be achieved without the dedication of the school’s teachers, who all travel long distances to reach the school. In return, the school management takes good care of their teachers, and have provided them with a spacious staff-room where teachers can spend their breaks in peace, prepare lessons and mark books. As you can imagine, this school has come a long way since its early days; so, what is next for this model school? 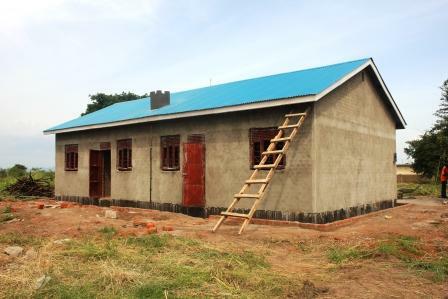 The school has ambitious plans to continue building upon its existing facilities, through constructing boarding dormitories for their older female students. 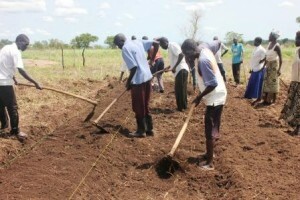 The school leadership know that the retention of girls requires constant monitoring, and allowing girls to board in a safe environment will stop girls from being kept at home to do chores, and reduce their vulnerability to sexual violence or exploitation when their parents are working in the fields. As the school celebrates its ten year anniversary, it has been exciting to reflect upon how Cubu Primary School has developed into a popular and thriving learning centre. 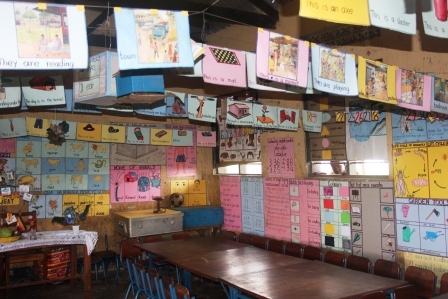 Although the school’s head-teacher has kindly credited African Revival for “making the school what it is”, it has been our absolute pleasure to work with Cubu Primary School over the years- the school and its leadership are inspiring examples of how positive transformation can take place with determination, commitment, and an optimistic outlook even in the midst of adversity. As a model school, Cubu Primary School no longer needs our support, but instead is well-equipped to support and inspire its neighbouring schools, to be the best they can be. After saying hello to all our staff, I spent the day catching up with Richard Ayella (Education Project Co-ordinator) and Scovia Ekit Opuch (M&E Co-ordinator) on our Jumpstart! programme. We discussed its current progress, as well as the information we need to compile for our 6 month report to DfID, due at the end of July. 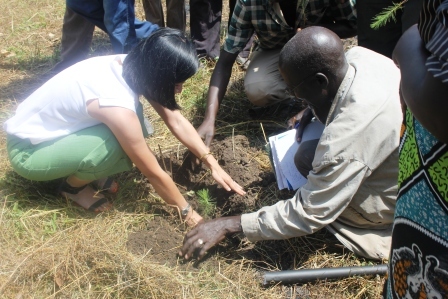 Today, I attended a tree-planting ceremony at Wilacic ECD and I was taken by surprise by the number of committed parents who showed up for this event. I then attended a ceremony celebrating the International Day of the African Child where we were awarded a ‘Certificate of Recognition’ by the Local Government for our distinguished service to the children of Nwoya District! I spent the morning catching up with Francis Nyeko (Livelihoods Project Co-ordinator), and in the afternoon I visited Juba Road Primary School with Vincent Komakech (Construction Project Co-Ordinator) and the Amuru building officer to inspect the construction work of the teachers’ house we are building. The best part of the visit for me was when the Head Teacher informed us that with our encouragement they have now set up a Contract Committee who will be responsible for the maintenance and management of all the facilities at the school site. 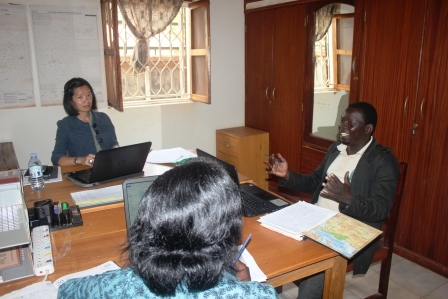 This morning, we met with Kenneth Happy from World Vision in Gulu, to explore potential partnership opportunities. In the afternoon, Dickens Ojamuge from Save the Children dropped by our office to catch up on how we can work together to implement their Gender Roles, Equality and Transformation (GREAT) methodology in the schools we are supporting. 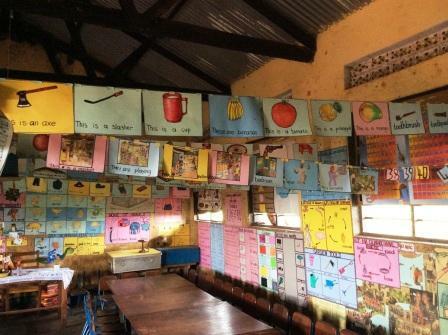 I was also hugely inspired by some of the beautifully decorated ECDs and early primary classrooms (pictured) we visited at Anaka Primary School, what a difference a few months have made to the learning environments! I spent the day in the Amuru district, starting off at our field office. We visited Layima, Labala and Pawel Langeta Primary Schools. 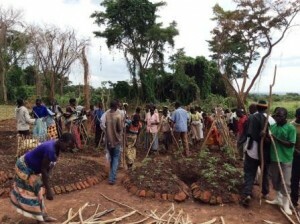 I learnt about tomato planting, how to transplant onions from their nursery beds into the production gardens, different micro gardening techniques and how much our school demonstration garden programme is valued by every community I have met so far. It’s been a great week and I am really excited about what the team has in store for me next week. Watch this space! Happy Fathers’ Day from African Revival! African Revival would like to wish all the fathers and father-figures across the globe a very happy Fathers’ Day! Today, we honour YOU, and we hope you feel appreciated and valued by all those who love you most. To celebrate this day, we caught up with some of the P6 pupils at one of our Model Schools, Cubu Primary, to find out what they love about their fathers. Opa’s father currently works in South Sudan, so she doesn’t see him as often as she would like, but he tries to visit as often as possible- she enjoyed a visit with her dad just last week! Opa is grateful to her father because he always pays her school fees, and encourages her in her studies. As such, Opa told us that “I try to perform well at school to make my father proud, because I know he is happy that I am in school”. Besides paying school fees, Opa is happy that her father works so hard to “provide food for the family, and buys clothes for me and my brothers and sisters. I miss him, but it is always nice to see him again.” We hope that Opa’s reunion with her father in August will be very special, and that their time together will be full of joy! Fathers come in all shapes and sizes, but we can all agree that they play such a crucial role in their children’s lives; we believe that parents’ input is absolutely fundamental to a child’s development and well-being which is why we work so closely with parents and community members in all our programmes. 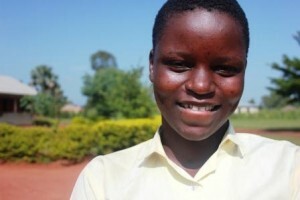 We are delighted to hear that Patience’s, Chajo’s and Opa’s fathers are so loving, and supportive of their education! We’d love to know: what do you love most about your father? Do tweet us! This week has been very special indeed; not only did we celebrate the International Day of the African Child in the Nwoya district, but we also kicked off our tree-planting ceremonies at our partner nurseries to commemorate our Jumpstart! programme. These occasions enabled us to reflect upon everything we have done, and will continue to do to ensure quality education in Uganda and Zambia. Thank-you for being part of our story through your support! After the weekend, our education and livelihoods teams are on the road again for a busy week working in schools all across northern Uganda! Today, we held our first tree-planting ceremony commemorating the start of our Jumpstart! programme. 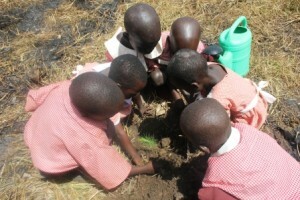 At Willacic ECD, nursery pupils Sunday, Steven, Moses, Eunice, Linda and Steven helped to plant the seedlings. Aren’t they doing a fantastic job?! 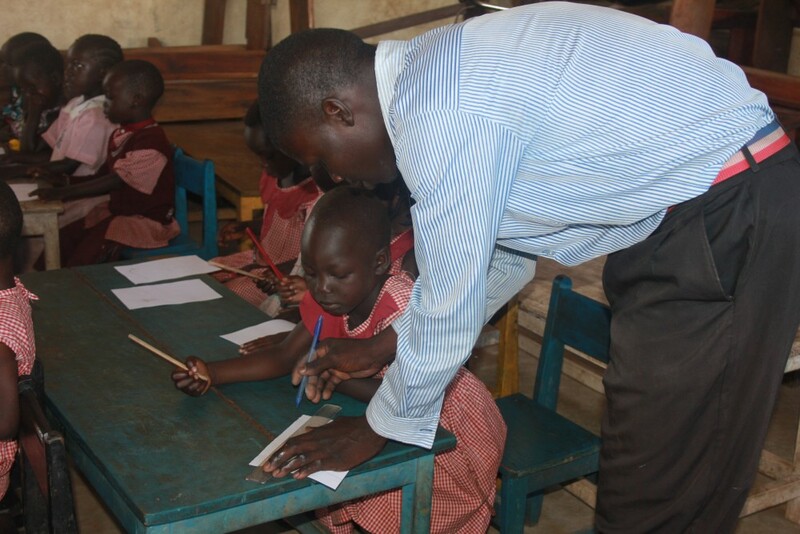 What a sight which greeted Vincent on his weekly visit to Juba Road Primary School! 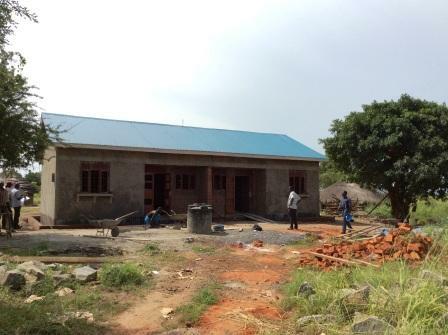 As you can see, the teachers’ house we are building is making good progress and should be all finished by mid-July. 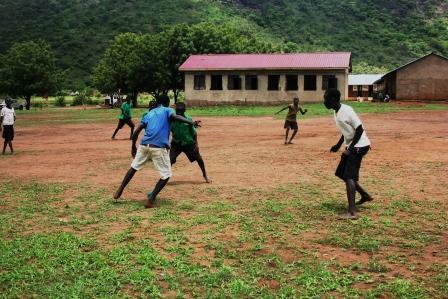 Our LEARN livelihoods team are busy in the gardens of our partner schools in Abim and Agago, but at least the students are having fun with a good old game of football! Today, our livelihoods coordinator Francis and our CEO Colleen are monitoring our school demonstration gardens in the Amuru district. It is always a pleasure to meet community members in the gardens, like these parents of Otong Primary School. We can hardly believe it: our Jumpstart! 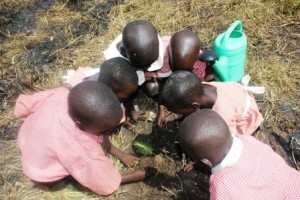 nursery programme has already been in operation for over four months now! As you may have seen here on the website, and through our social media channels, our Jumpstart! team have been working around the clock to improve nursery education in northern Uganda. 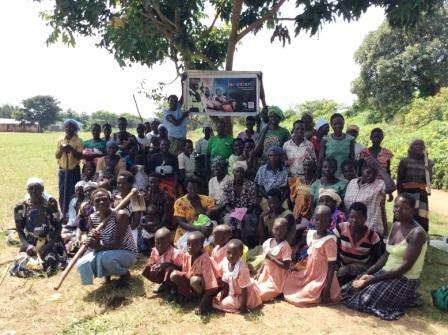 From our local sensitization meetings across the Nwoya district to engage the local community in their children’s early development, to providing ECD training to 36 care-givers, and mobilising nursery teachers into teacher-changer networks to explore each other’s knowledge, it really has been an exciting few months! One of our most enjoyable activities has been helping teachers develop play and learning materials. Indeed, due to lack of funding, many nurseries in Uganda are bare, lacking colour and resources – but we want to radically change the appearance of our partner nursery schools to provide the best possible learning environment for young pupils. So, we have been holding workshops where teachers can learn how to create engaging teaching materials which are free or cheap to produce, which will stimulate their pupils’ learning. How fabulous are the classes looking now?! To commemorate the start of our Jumpstart! programme and all that has been achieved thus far, we are holding tree-planting ceremonies at all our partner nurseries – the first of which took place at Willacic Nursery School this week. 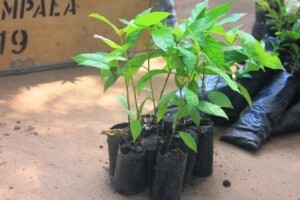 We planted seedlings of pine, avocado and orange trees as well as apple fence bushes, teak and African red mahogany trees. These trees serve both a symbolic and practical purpose. The strong, beautiful trees will provide shade, and add to the beauty of the school grounds, whilst the apple fence bushes will serve as protective fencing around the perimeters of each school. The fruit trees are purely for the nutritious enjoyment of the young pupils; aren’t orange segments the most refreshing snack after all?! During the ceremony at Willacic, the parents of the nursery children turned out in force to show their support, in an encouraging display of commitment towards their children’s development and education. Officiated by the school’s headteacher Bosco, our CEO Colleen was also on hand to re-affirm our partnership with parents and care-givers, as we work collaboratively to give children the best possible start in life. After these speeches, Colleen and Bosco planted the first seedling, following by the school management committee, and the ECD teachers. Last but certainly not least, six of our nursery school pupils: Eunice, Sunday, Steven, Moses, Steven and Linda planted their own seedlings in front of the encouraging crowd. As they gently placed the young plant into the ground and patted the earth around it, we were reminded that those seedlings are much like the nursery pupils we work with: young children need care and commitment to ensure their healthy and strong development. Our hope is that these seedlings, which are now the responsibility of the school management committee, will grow into trees which will be on the school grounds for many, many years and that when our current co-hort of nursery pupils look at those trees as adults, they will be reminded of their positive nursery experience. It has been an exciting few months, and we are delighted to have partnered with such committed ECD centres that are passionate about their students’ education, and ensuring they get the best early development possible, so that they are prepared to live life to the fullest. As we continue our work, be sure to check out our website, and social media channels for regular updates on all our Jumpstart! happenings; here’s to the next few months!